I love this time of year. I love the cookies, the decorations, the smells and gift giving. Really I love it all!! Being from Arizona we don’t really have those wonderful Christmas smells so I always bought a Christmas candle. Unfortunately I could never let the candle burn more than an hour because the smells always gave me a headache. I have always been super sensitive to smells:( I don’t have that problem any more thanks to my handy dandy diffuser. 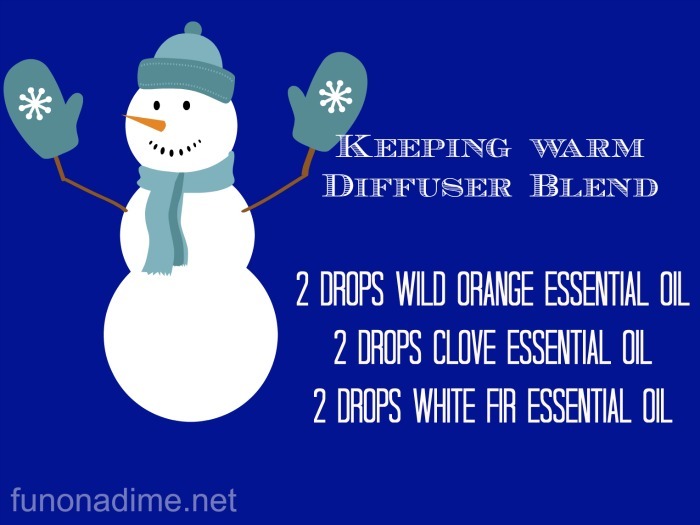 My house smells amazing and no harsh toxins or chemicals so I can let it go all day long. As an added bonus we are helping our moods and health without even trying!! I found this list of 25 blend recipes on ONE essential COMMUNITY and I have picked my favorites to share with you. 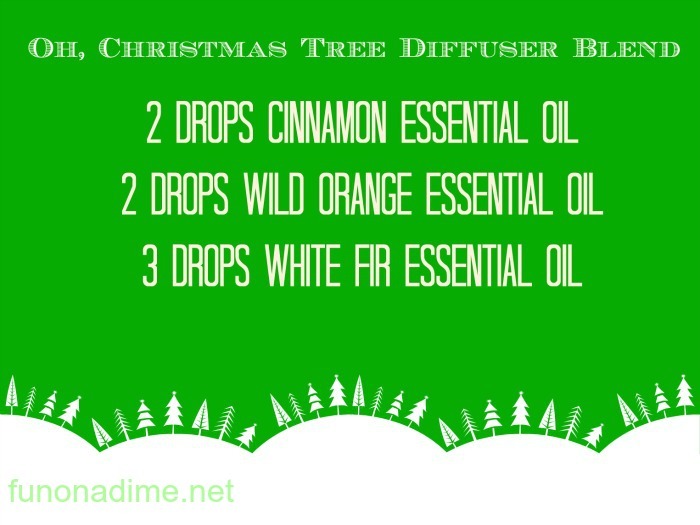 It is amazing how many different smells you can get with just a few basic oils! I promise you won’t be disappointed. 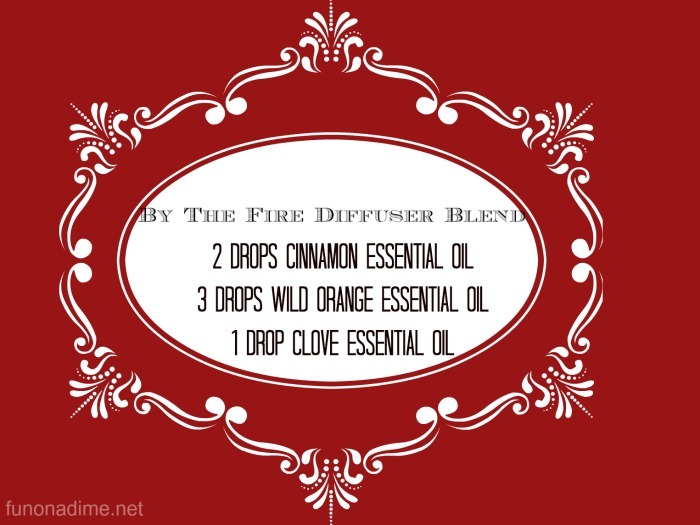 These actually make cute gifts too for someone you know who has a diffuser. 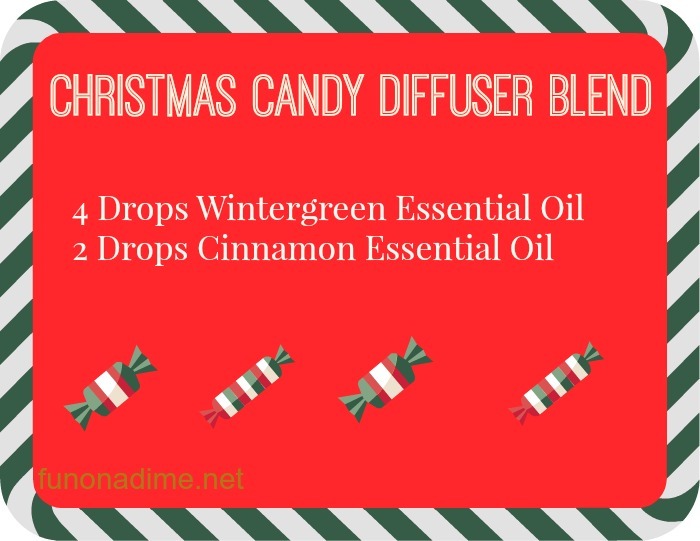 You can put the drops in little vials and print off the printable so your friend, teacher, or family member can enjoy the smells of Christmas at their own home. It is handy to make up a bunch at a time for yourself also so you don’t have to get all the bottles out each time you fill the diffuser. 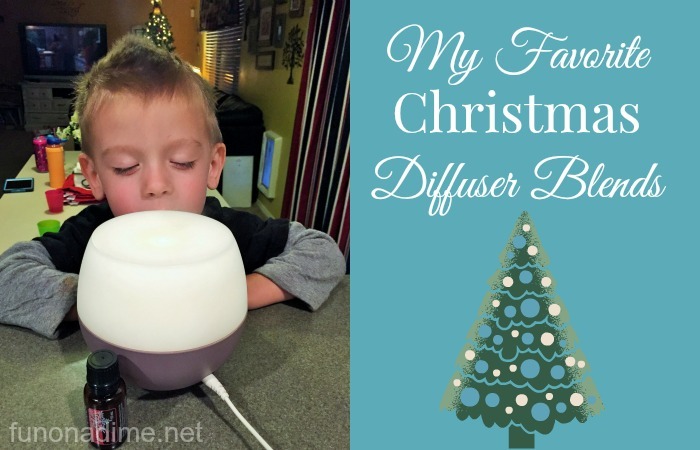 This makes it super easy for your kids to fill the diffuser up too. 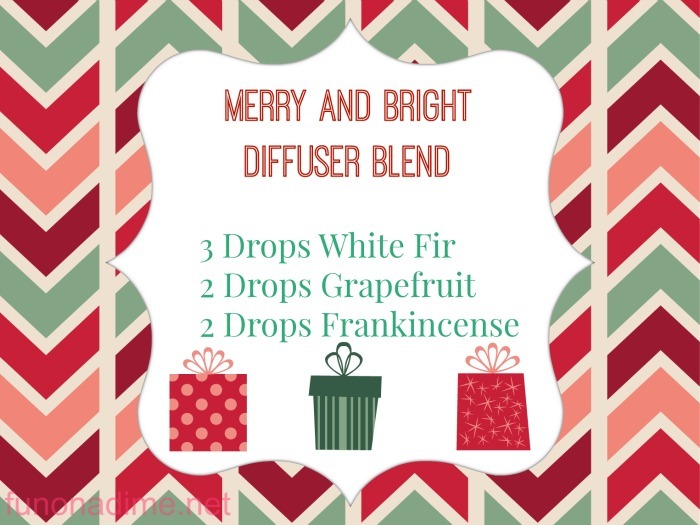 Another tip is you can put these blends in a 4 oz glass squirt bottle and fill it up the rest of the way with water and spritz around you house, car, bathroom, closet really the list can go on and on. Can you tell I really love my Christmas scents?? If you want to get some of these fabulous oils for yourself or a diffuser leave a comment or email me at courtney@funonadime.net. Remember they make fabulous Christmas presents!